PRP Treatment in Dublin Often referred to as The “Vampire Therapy” is now available! What is PRP Treatment – Platelet Rich Plasma Treatment? PRP Treatment in Dublin is performed by fully train medical doctor or a nurse in AMARA CLINIC in Dublin. “Vampire Lift” involves blood being taken from the patients body (same technique as blood test). Blood cells are being separated by PRP machine to serum and platelets. Platelets are then injected to the patients treatment area. This treatment is often referred to as “Dracula” or “Vampire Facial” Therapy. Immediately after the PRP treatment – vampire facelift, skin appears to be visibly smoother, revitalised. PRP smoothes the skin and visibly reduces lines and wrinkles. Platelet Rich Plasma (PRP) has been used for years to treat musculoskeletal conditions. PRP Treatment in Dublin has been proven to be safe and effective in promoting the natural process of skin rejuvenation, bone reconstruction and augmentation. Cutting edge PRP technology has now grown beyond rehabilitation to aesthetic and PRP Treatment is now available in AMARA CLINICS in Dublin! Treatment in Dublin is highly recommended to patients who prefer more natural approach to anti- ageing treatments- opposite to Botox and filler injections. PRP treatment- safe and natural treatment is highly effective not only in improving appearance of fine lines and wrinkles, sun damage, dull/ worn out skin. How does PRP Treatment “Vampire Therapy” work? PRP Treatment in Dublin, works by taking advantage of the healing power found in the platelets in your own blood. Platelets contain “ Platelet Derived Growth Factors” that stimulate the production of collagen and keratin. Collagen responsible for smooth, plump appearance of young, healthy skin. Like collagen, keratin plays big role in healthy skin- keeps the skin firm and forms protective layer to retain healthy skin. 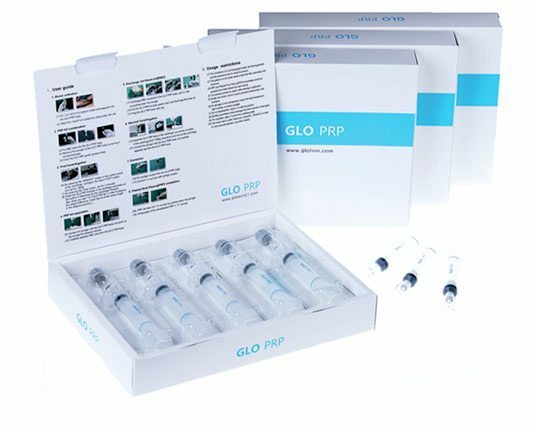 PRP treatment is a perfect treatment to intensify body’s natural healing treatment by significantly boosting keratin and collagen levels in patient treatment area. Results can be seen instantly: visible smoother skin and reduced appearance of lines and wrinkles. PRP Treatment in Dublin can be used not only to rejuvenate the face but also neck, décolletage, back of hands and any other body areas. How long does PRP take? Treatment takes between 45- 60 minutes depending on the area treated. This involves applying local anesthetic (numbing cream), taking blood sample, processing – separating to serum and platelets and injecting the treatment area. The procedure can be uncomfortable. In AMARA CLINICS we offer local anesthetic (numbing cream) so most patients feel very little sensation. Slide redness, swelling and bruising is likely straight after the treatment, but this subside after few days. Most patients will have no need for any down time after PRP treatment. Any remaining pain after the injections can be controlled with over the counter medication. We recommend applying Arnica cream (available over the counter in your local pharmacy) on the areas treated in order to reduce any chances of bruising. The area treated should be protected from the sun, it is recommended to avoid direct sunlight after treatment. To avoid any risk of infections, area should be kept clean for at least 24h after the treatment. Depending on a skin condition, for optimum results usually 2-3 PRP treatments are recommended with 4 weeks gap in between treatments.